“Martisor” is a traditional celebration of spring on the 1st of March, which takes place in Moldova, Romania, Bulgaria and other countries of the Southeast Europe. In Moldova and Romania this authentic feast is celebrated more than 2000 years. On this occasion, the Charity Centre for Refugees (CCR) together with local and EVS volunteers organised “Martisor” workshops for refugees, asylum seekers and local people at its office. The event was attended by more than 10 participants. 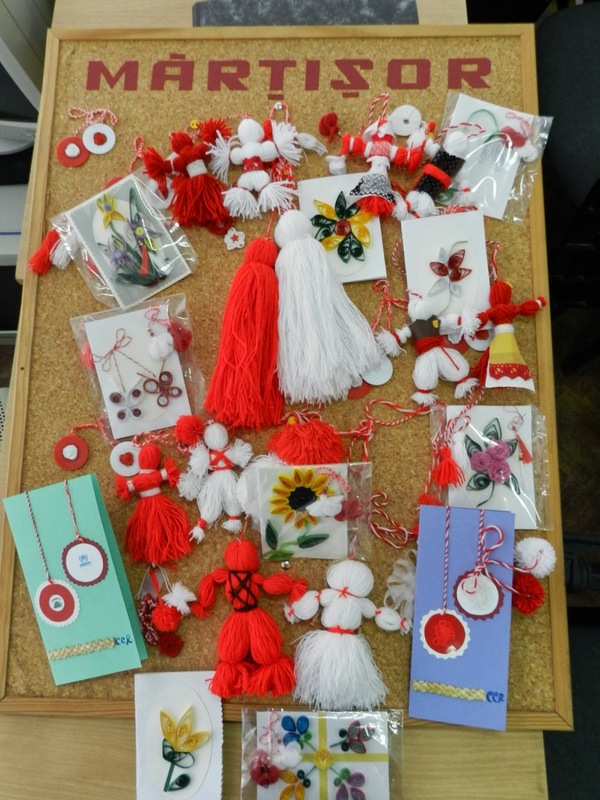 During the workshop, beneficiaries learned to make traditional “martisor” in the shape of little girl and boy, which later on different ethnic costumes were manufactured for them. The result was great, beneficiaries succeeded to make national costumes of Moldova, Afghanistan, India, Syria and other. Besides that, enjoying the process, refugees and asylum seekers created postcards with “martisor” which will be given to CCR guests and partners on the 1st of March. A possibility of learning “Martisor” tradition was given also to refugee and local children from Mereni village. CCR staff together with EVS volunteer organised a workshop at the Primary School. The aim was to promote integration of refugee children at school, where they spend the most of their time and where is really important for them to be recognised and accepted as an equal member of their class. CCR workers and volunteers provided all the necessary equipment and helped children to make “martisor”. During the workshop, both CCR workers and children had fun, spoke about the celebration of “Martisor”, its history, legend and traditions. Children were reciting poetry, singing, questioning about the coming celebration. Besides CCR some representatives from Bureau for Migration and Asylum, social worker from Mereni and two Syrian families with children participated in the event. At the end, every child received sweets, cookies and juice for their efforts and enthusiasm in creating little “martisor”. In order to reach all the beneficiaries and provide a better familiarization with local traditions, CCR decided to organise one more “Martisor” workshop at the Temporary Accommodation Centre (TAC). The event was held on the 21st of February. More than 12 refugee and local children were present at the workshop, including the Deputy Director of the Galata Gymnasium and TAC director. CCR workers and volunteers helped children to make “martisor” from two wool balls, one red and the other white, joined by a red and white thread. Children were very interested and involved which led to a splendid result. After all the efforts of refugee and asylum seeker children, their handmade postcards with “martisor” have reached destination. On the 28th of February 2014, the Charity Centre for Refugees congratulated the partners and guests with the “Martisor” celebration. On behalf of refugee and asylum seeker children and women, handmade postcards with “martisor” were sent to UNHCR, the Bureau for Migration and Asylum, the UN in Moldova, International Organisation for Migration in Moldova, the Prime Minister of the Republic of Moldova, the Mayor of Chisinau, the Minister of Culture, the Minister of Education, the Minister of Labour, Social Protection and Family, the Rector and Vice Rector of the Ion Creanga State University.